At Sunshine Ice Blocks we’re pretty passionate about our natural environment. 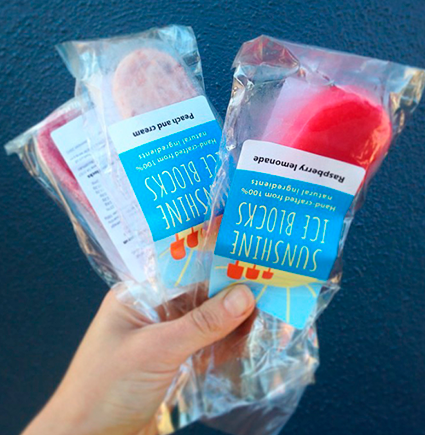 Our ice blocks wrappers are 100% compostable and our sticks are from certified sustainable Beechwood plantations and are fully biodegradable. For our shaved ice, we use BioPak biodegradable cups and PLA spoons made from plants not oil. By using only local ingredients we ensure that food miles are kept low. We compost all of our fruit waste either through our worm farms or larger compost areas on our farm – or by feeding it to our chooks, goats and sheep!